2016 once again brings new real estate contracts from the Texas Real Estate Commission. Do not worry, we have all of the forms ready for you! If you are a current member you can start using the 2016 Texas Real Estate Commission forms now. Not a member? Sign up now! All of these forms are currently available in our software. 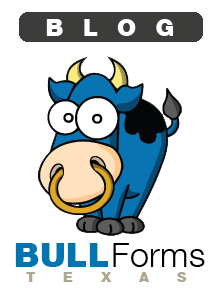 With BULL Forms Texas you can easily complete a contract and send it for signatures with our integrated e-signature tool.